QUESTION! PLEASE HELP I'M SO CONFUSED! 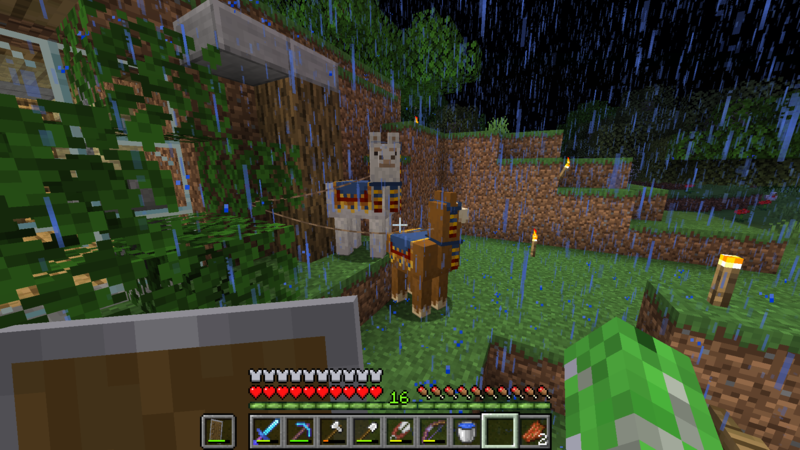 Hi so i'm hoping some one can shed some light on why this has happened, but when I came back from searching for the end portal, I see these two llamas near my house and I have no clue why this is happened(I have the screenshots). Can some one help? Those look like 1.14 trader llamas, which spawn with a wandering trader villager. He probably wandered off or died somehow. I didn't know 1)that leads could be attached to leaf blocks and 2)that mobs could leash other mobs (and then tether them to a block! 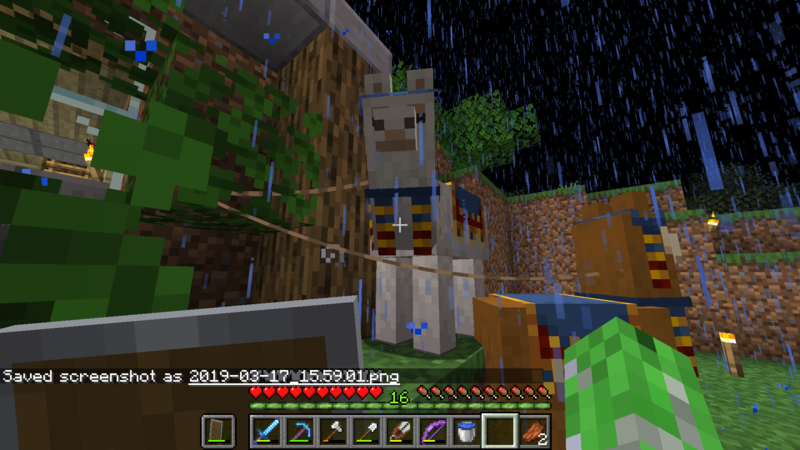 ), but perhaps they still can't and you're on a server where a friend found the llamas and thought to gift them to you. A trader came by and then despawned. When he despawns, the llamas are left behind. Ok thank you guys! I just watched a video and they apparently drink a potion of invisibility at night so that's why I see the particles and the lead attached to nothing. Appreciate your help. Guess he "Leaft." "Bushed" for the night. But yeah, he's safe, the Trader. Just careful where you hit around it /Llamas.